Moving furniture might not be everybody’s idea of a good time, but when brand new dental chairs and cabinets take their places in a freshly renovated clinic space, well, it’s pretty exciting. 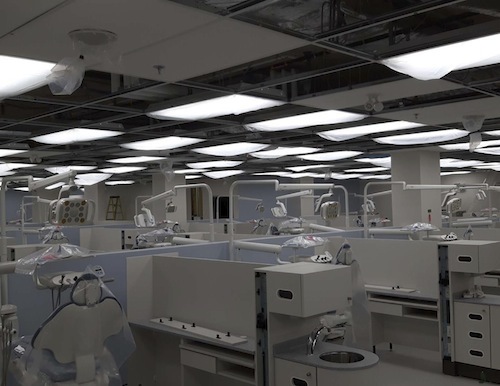 And that’s exactly what happened during the first two weeks of February when 66 spanking new dental chairs and 109 cabinets were moved into the newly renovated dental clinic. It was the final stage of a long and logistically challenging journey. 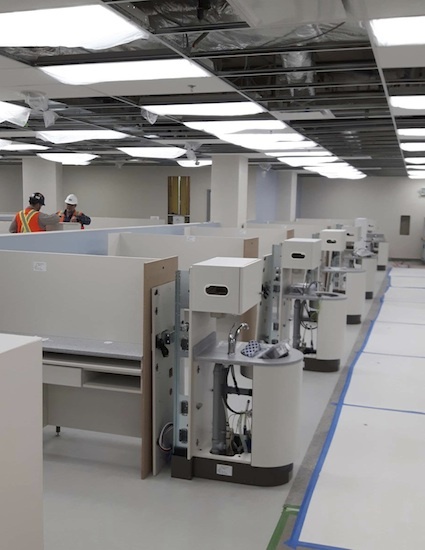 The chairs and cabinets had been delivered from A-Dec, the dental equipment supplier in Oregon, to the warehouse of Premiere Van Lines in Dartmouth one week ahead of the final delivery to the clinic. It sounds involved – and it was – but everything went according to plan. The delivery was completed a day ahead of schedule and the installation crew was also able to finish its work a few days early. 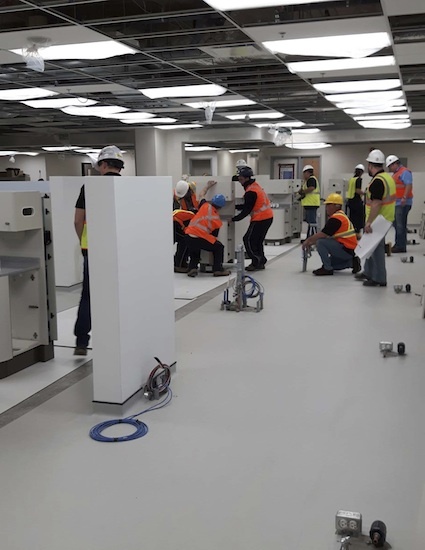 Over the next few weeks, the sinks and electrical outlets will be connected and the new equipment is on track to be commissioned later this month. In November, everyone gets to do it all again when the next delivery rolls in.